Many people I talked to about Whiplash were turned off by the film’s subject matter. The story of a struggling teenage jazz drummer doesn’t make one rush to the theater or hit the “play” button on the in-flight entertainment menu. 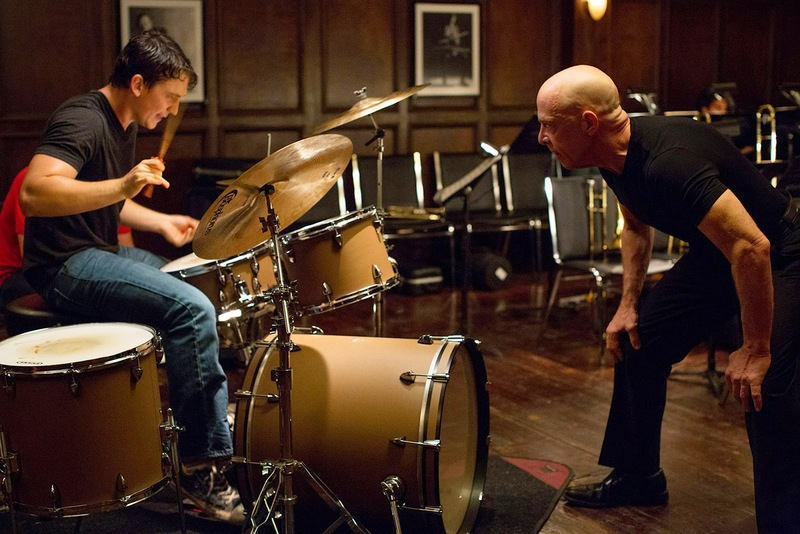 But believe me, Whiplash is an intense and superbly acted grade A drama. 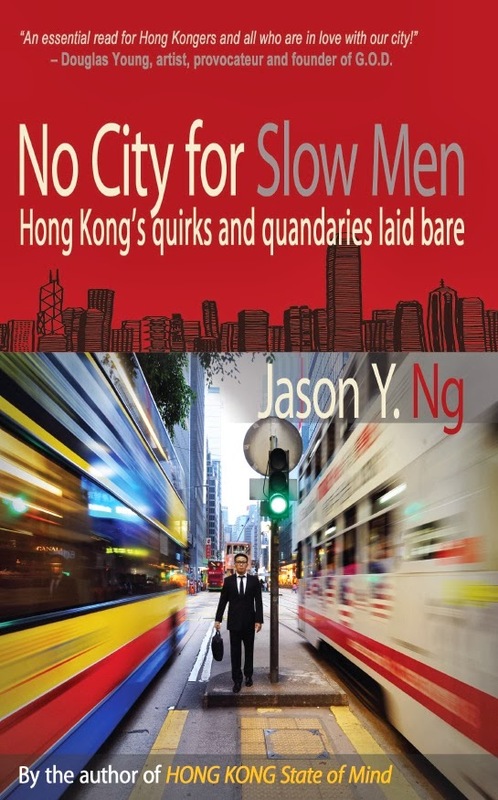 It packs enough twists and turns to keep you on the edge of your seat during the movie, and will have you ponder over its moral long after the end credits. The film is named after a short piece by Jazz composer Hank Levy. Andrew Neiman is a 19-year-old freshman attending the fictitious Shaffer Conservatory in New York City, said to be the country’s best school for jazz musicians. 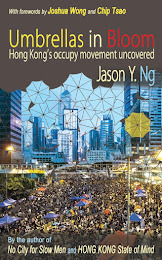 The budding drummer wants to make a name for himself, not least to prove to his snotty relatives that a music career is not a financial death sentence. To do that, Neiman must impress Terence Fletcher, the jazz band conductor who is abusive, foul-mouthed, and prone to hurling heavy objects at anyone who makes even a minor mistake. Fletcher doesn’t believe in positive reinforcement; public humiliation is more his thing. “There are no two words in the English language more harmful than ‘good job,’” says the maestro-from-hell. Directed by 29-year-old Damien Chazelle, the film is loosely based on his personal experience playing the drums in high school under the tutelage of a tough coach. To reenact that painful chapter, Chazelle director recruited 27-year-old actor Miles Teller, who was last seen playing a bully in Divergent. Teller’s compelling performance allows the audience to live through a young artist’s trials and tribulations, and above all his near self-destructive determination to do anything to earn the approval of an authority figure. One word from Fletcher and his whole world can fall apart. Some of us can relate to that. J. K. Simmons, who plays the terrorizing drill sergeant, deservedly won an Oscar for his role. His acting is as precise and pitch-perfect as the music Fletcher demands of his students. Wearing all black and moving as quietly as a predator sizing up its prey, Fletcher is the devil incarnate. 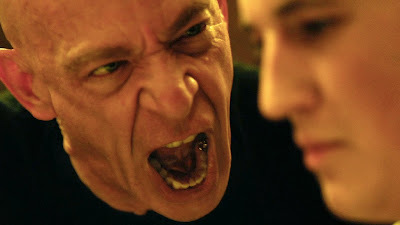 Whiplash is not a horror movie, but Simmons makes it feel like one. And the character also has depth. Fletcher abuses his students not because he relishes it, but because he genuinely believes that young people need to be pushed to realize their full potential. Does he have a point? And are we too willing to give children a gold star just for paticipation? It is food for thought for so-called tiger moms and helicopter parents who scoff at mediocrity and push their kids to the brink of a nervous breakdown. 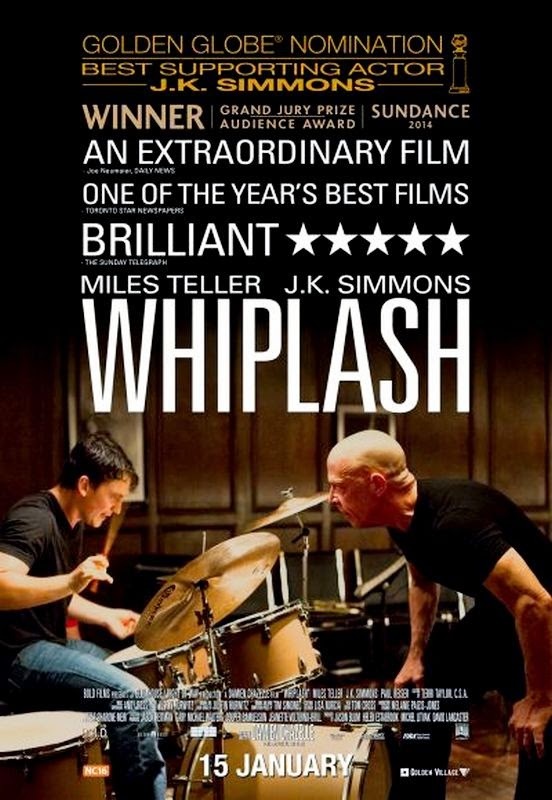 Whiplash is one of the best movies in 2014. It also has one heck of a soundtrack. 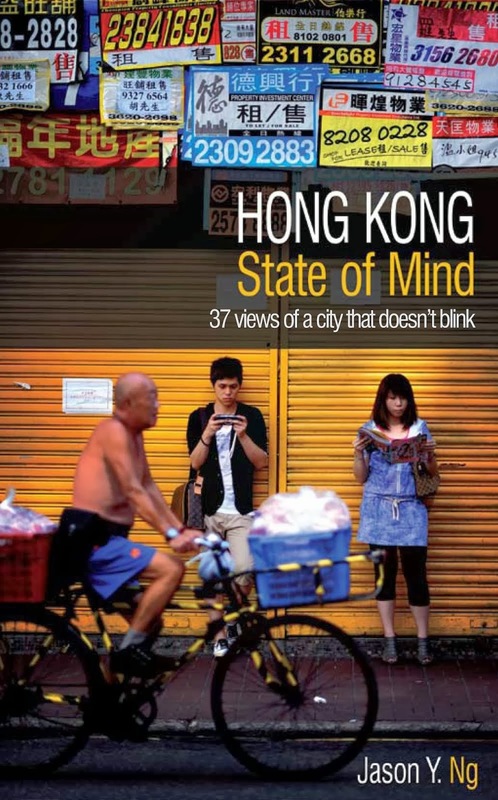 So do yourself a favor and rent the DVD or watch it on your next long-haul flight. You won’t regret it.